Join Zeitgeist performs "mini-concerts" featuring music by Pauline Oliveros from 1:00-3:00 at Studio Z during the Saint Paul Classical Music Crawl. Join Zeitgeist and members of 113 Composers Collective for performances and discussion of new works for Zeitgeist by 113 member composers Mike Duffy, Tiffany Skidmore, and others. Zeitgeist teams up with Twin Cities composers collective 113 to present new works by 113 members. 113, a collection of composers and performers of new music, curates concerts, seminars, and master classes throughout the Twin Cities with a focus on community building, educational outreach, and emphasis on extensive interaction between composers and performers. Composer Janika Vandervelde and Zeitgeist percussionists Heather Barringer and Patti Cudd present a preview and discussion of Vandervelde's new evening-length work for percussion and electronics exploring the world of lucid dreaming. Inn-fest is a mini-festival curated by innova Recordings showcasing an all-star cast of composers and performers from around the country. Zeitgeist presents a performance/discussion with special guests Seen/Heard Trio (Megan Ihnen, Mezzo-Soprano; Erika Boysen, Flute; Jennifer R. Ellis, Harp). Zeitgeist celebrates its rich history and looks forward to the future of new music by revisiting works commissioned in each decade of their existence and launching the start of a new decade. Summer Rain, developed and performed by Zeitgeist and composer/veena virtuoso Nirmala Rajasekar, is a blend of Indian classical music (Carnatic tradition) and Western classical new music, featuring five musical compositions interspersed with discussion and interactive opportunities. 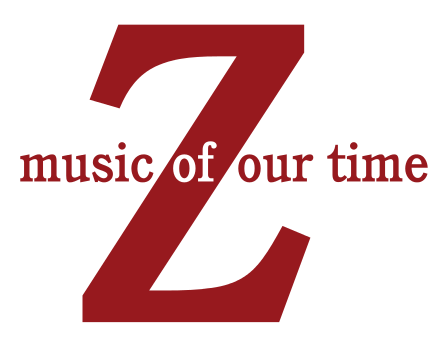 A compelling combination of colorful musical performance, songs, and storytelling featuring Zeitgeist, humorist Kevin Kling, and composer Victor Zupanc. ​Part of the Detroit Lakes Festival of Birds. ​Zeitgeist will perform water-themed music by Katherine Bergman and Daniel Nass as part of a day of river-themed art and music entitled Upstream during Minneapolis’ Art-A-Whirl art crawl. Zeitgeist performs Spiral XIV: Nimmita by Chinary Ung at the Re:Sound New Music Festival in Cleveland, Ohio, sharing the stage with Transient Canvas, Semiosis Quartet, and Buck McDaniel. Join Zeitgeist, singer Alyssa Anderson, and composers Daniel Nass, Doug Opel, and Dameun Strange for a discussion on how to create music that sends shivers up your spine. Zeitgeist visits Cleveland, Ohio for a residency in September 2018 as part of an ongoing collaboration with Cleveland-based No Exit New Music Ensemble. Join Zeitgeist and Illinois-based composer Alexis Lamb for a performance and discussion of her new composition for Zeitgeist. Lamb's new work is inspired by different regions of Minnesota and the work and life taking place in each community. Zeitgeist kicks off the 2018-2019 season with their fourth annual collaboration with Cleveland-based No Exit New Music Ensemble. An exchange of local artistry, the event features Zeitgeist and No Exit performing music by Minnesota and Ohio composers. Zeitgeist’s Halloween Festival takes over Studio Z for four days of haunting sounds, bone-chilling new commissions, spine-tingling storytelling, and the return of Crocus Hill Ghost Story, a macabre tale of a house possessed created by composer/flutist Julie Johnson, writer Cheri Johnson, and filmmaker/actor D.J. Mendel. Author, composer and performer Mary Jane Leach discusses her work recovering the music of Julius Eastman, creating the book Gay Guerrilla with Renee Packard, and the New York City new music scene in the late 1970s and 1980s. Through intimate movement and lush soundscapes, unravels a politically charged central theme: gun violence in America. Holding nothing back, the dancers tap into the emotional impact of this reality, blurring the lines between artistry and activism. Studio Z Composer-in-Residence Tiffany Skidmore discusses her work as a composer and artistic member of 113 Composers' Collective. A compelling combination of colorful musical performance, songs, and storytelling featuring Zeitgeist, humorist Kevin Kling, and composer Victor Zupanc. ​Presented by the Ashland Chamber Music Society at the United Presbyterian-Congregational Church in Ashland​. Tickets $15 at the door, free for students and children. With winning songs from our Eric Stokes Song Contest plus music by local composer Yohannes Tona, our annual Playing it Close to Home concert celebrates the wealth of musical creativity found right here in our own backyard. Join The Dream Songs Project (Alyssa Anderson, mezzo-soprano; Joseph Spoelstra, guitar) and composer Joshua Weinberg for a preview and discussion of a new song cycle by Weinberg. Composer and licensed Deep Listening® practitioner Viv Corringham has written a new work for Zeitgeist in honor of Pauline Oliveros and the Early Music Festival. Come hear a preview of this new work, learn about Deep Listening™, and discover how Oliveros's ideas continue to influence musicians today. Can we listen differently to the sounds that compose our world? In this workshop heighten your awareness of the sonic environment - both external and internal - as well as your sense of experimentation, collaboration and playfulness. Based on Pauline Oliveros’s Deep Listening® practices and Sonic Meditations, this workshop is open to all with an interest in listening. No previous experience needed. Zeitgeist’s 9th Annual Early Music Festival explores the powerful contributions of our musical pioneers with a celebration of composer Pauline Oliveros. From the 1960's until her death in 2016, Oliveros influenced American music profoundly through her work with improvisation, meditation, electronic music, myth and ritual.